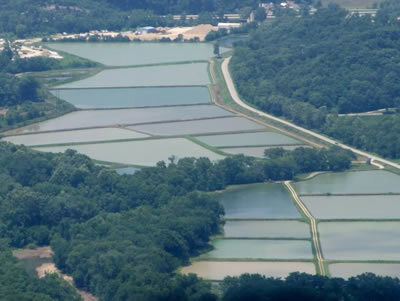 PRIVATE LAKES WANTED for entering into Paddlefish Ranching Agreement. Contact us for more information! 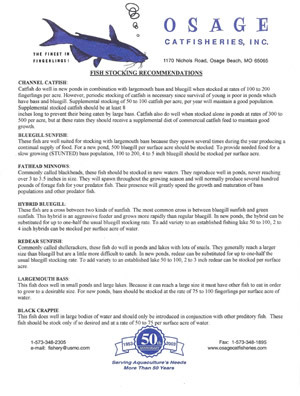 Unlock your lake's potential with Osage Catfisheries, Inc.'s high-quality stocking fish ... the finest in fingerlings! Healthy, strong fish are key for establishing a vibrant and diverse fish population, and Osage Catfisheries, Inc., has been providing the highest quality, disease-free and genetically pure fish for clients across the Midwest and the world for more than 50 years. 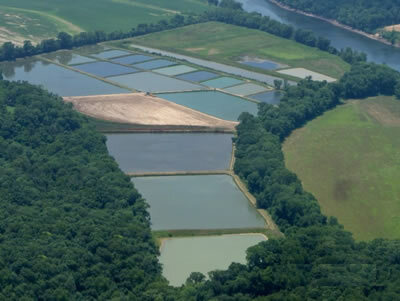 Osage Catfisheries, Inc., understands the needs of aquaculture professionals and individuals alike. 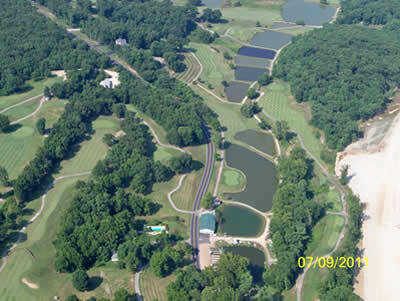 OCI provides fish for many of the Midwest's premier aquatic attractions, as well as the Missouri Department of Conservation. OCI's fish are healthy and attractive, free from genetic deformities and cosmetic defects, and have excellent size and development - they are the finest specimens available and are bred to thrive in the Midwest's lakes and ponds. You'll find the quality of fish from our hatchery to be unmatched by our competitors - we have the finest in fingerlings! We offer discounts on fry and fingerlings. Call us for details on these fine fish! Copyright 2011-2017. Osage Catfisheries. All rights reserved, worldwide.